Its an Awesome template, i am interested in buying this template, But i need some Changes in this template can you do this for me?? You may find my email address in your Inbox as i have also sent you a message through your website contact form. Waiting for a quick reply..
Congratulations for your work, amazing template! I'm interested to buy it but i have a question.. Camera slideshow supports active links? Because in the demo i see only images but i can't click on them! Hello I need To Buy this. Before That I need to Remove The Side bar I mean Which One is Appear In The middle. If I buy this template, can I use it for more than one blog? Olá LASINDU NADISHAN! sou do Brasil, Gostaria que me enviasse o tema (Spray Mag Premium Blogger Template) o mais rápido possível, pois preciso usá-lo em meu blog/site. I also send a message to your gmail. Template was ordered last nightvia paypal, please send follow-up email. 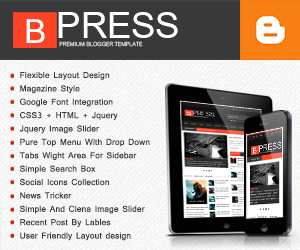 My wife purchased the template last night, and sent you a comment with her transaction ID.Please send reply email/info. Template was ordered via paypal, please send follow-up email. Hi. nice template. I want to buy it. Can you remove the first column (next to slide) and enlarge slideshow and content area for me? sir i've sent the payment sir..
i'm waiting for the template. is this template seo friendly? Ho fatto il pagamento. Attendo tua risposta. Ciao il browser chrome non visualizza le slide potresti aiutarmi? 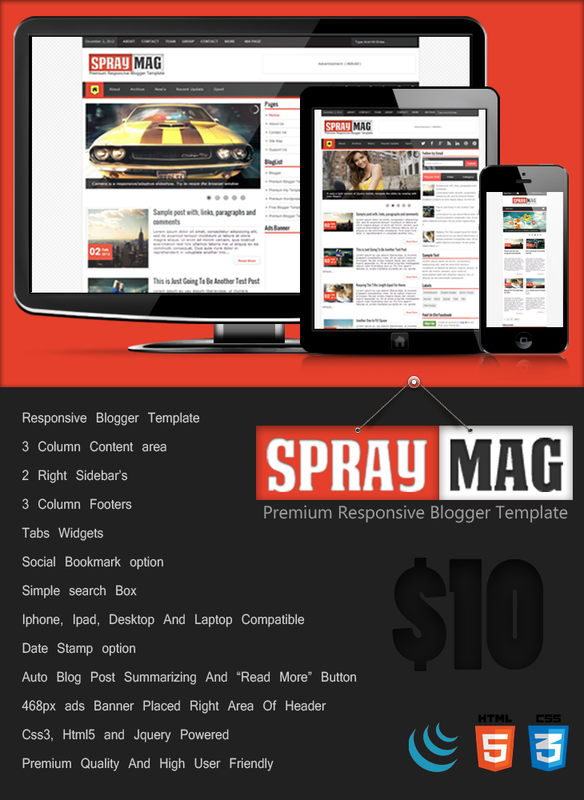 hi i am from INDIA i want to purchase Spray Mag Template can i purchase with PAYPAL ? Your transaction ID for this payment is: 7RG17096MW602271H. Hey can i buy now? I have made the payment, please send me the template asap.